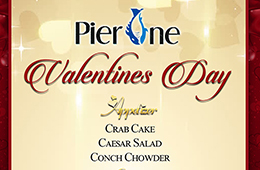 Freeport, Grand Bahama - Pier One A Seafood Restaurant Giving Thanks To Our Dedicated Father's Happy Father's Day, open 4:00 P.M. - 10:00 P.M.
Freeport, Bahamas - Upstairs on the Bay Mother's Day Special Sunday, May 8th, 2016 . 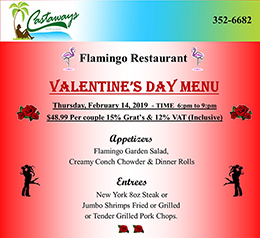 Freeport, Bahamas - Pier One SEAFOOD RESTAURANT is Honouring Our Mothers! 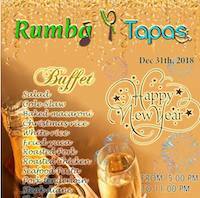 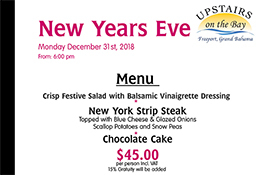 Upstairs on the Bay New Years Eve Monday December 31st, 2018 from: 6:00 pm. 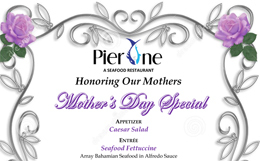 Freeport, Grand Bahama - Pier One at Luciano's Restaurant Mother's Day Special 12pm - 10 pm. 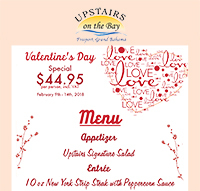 Appetizer: Soup Cream of Broccoli or Salad Mix Vegetable Salad w/ Asian Dressing. 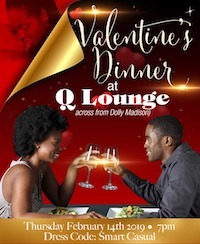 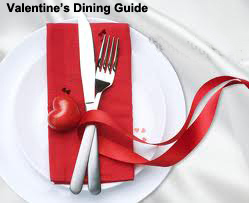 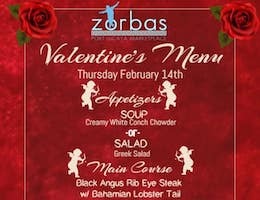 Looking for more than the regular Valentine's Day menu for the upcoming day of romance? 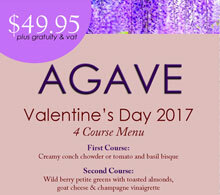 Agave is offering a scrumptious food line-up that is sure to heat up any couple's Valentine's Day celebration. 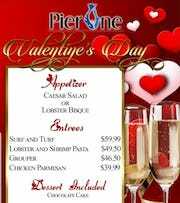 Freeport, Grand Bahama - Welcome to Pier One Restaurant also featuring "EAST" Sushi Menu. 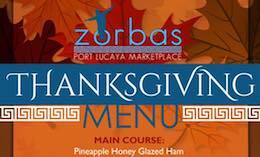 Freeport, Bahamas - Upstairs on the Bay Thanksgiving Feast Thursday November 24th, 2016.